It is known to everyone that you can experience a huge financial loss if your identity gets stolen. It is known to everyone that you can experience a huge financial loss if your identity gets stolen. That is, some hacker accesses your online accounts by typing the password you've given to those accounts, for his/her own financial gain. First of all, you should install a good up-to-date antivirus program so that your computer and browser are well secured. 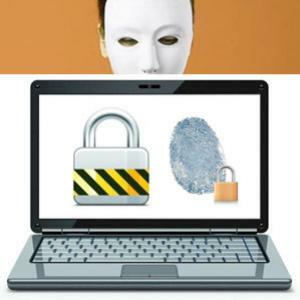 Here are some other tips to protect your identity online. Give strong passwords which are difficult to guess - It goes without saying that the first step in protecting your identity online is to give strong difficult passwords. Always give passwords which are hard to guess. Even a person knowing you well, should not be able to guess what passwords you give to access your online accounts. Another important thing is you should change your passwords at least once in six months of time. No two passwords should be similar - Even if you give difficult passwords, no two passwords should be similar. This is because, if a person is successful in getting one of your passwords, he/she may get access to your other account(s) too. If it is difficult to remember, write it in a document and make sure you password protect it too. Another trick is writing down some irrelevant numbers or letters in the prefix and suffix of your actual password so that only you can make out what your actual passwords are. Two-factor authentication is a better option - You can give extra security to your account by setting up two-factor authentication on your Google account. By doing so, you'll be asked to enter another code, along with your password, which you can only get through a voice call or a text message. Password-protect your mobile phone - Nowadays, mobile phones are just like computers. You can do almost anything and everything with your cell phone. It is also quite a common phenomenon to store personal information in the mobile phone more than your laptop, as a phone is much more handy option. So, always password-protect your phone so that no one can access your personal information even if your phone is stolen. Do not give out all your information on social networking websites - If you give out all your personal details on social networking websites, then it'll be much easier for the hackers to figure out your passwords. This is because they'll know the answers of the questions asked in the password reset tools. So, keep some secret from your social networking profiles. Be careful while shopping online - While shopping online, be careful to give out your credit card information only to secured websites. So, before giving out your credit card details, check out whether or not there's a padlock icon next to the address. Also carefully go through your credit card details every month to check out for any suspicious charges. Protect your home wireless network connection - It has also become quite important to protect your home wireless network connection with a strong password. Also, change the default name of your network, the SSID. While connecting your laptop at a coffee shop through a public Wi-Fi, be careful of the information you're sending online. Along with above, think before clicking any link. It is really easy to create a template which is almost similar with that of a bank; so, clicking on it will help the fraudsters to access even your online accounts. Also beware before clicking on Facebook message links. Rarely friends upload links for you to view their photos. Similarly, do not click on links you get through a mail from unknown sender. Remembering this and acting wisely can save your identity from being stolen and save you from losing your valuable money.